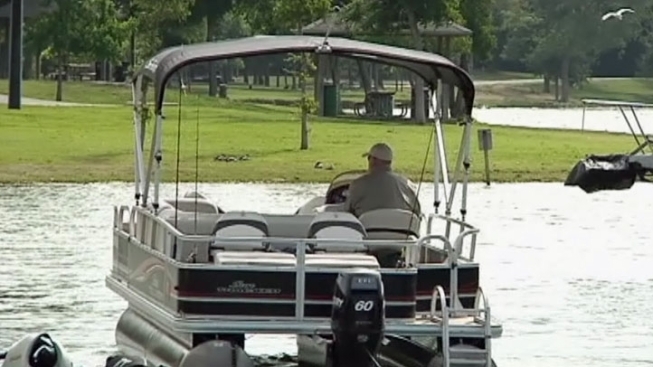 After a painfully slow summer last year because of the drought, Joe Pool Lake businesses are seeing plenty of customers so far this year. The Oasis Restaurant has been seeing a wave of customers since the weather started warming up. "We got hit unexpectedly," said Jen Bivens, manager and bartender at the restaurant. "Normally, we kind of work gradually into the big summer season, but March started off beautiful, and it was just growing." Next door, the Lynn Creek Marina has also been busy. "It's booming business," boat rental manager Bryan Hart said. "It's been going 90 to nothing all these weekends ever since spring break has hit, and the weather has been very cooperative for us." It is in stark contrast to last summer, when lakes throughout the area took a hard hit from Mother Nature. Although the water level at Joe Pool Lake's docks only dropped about 3 feet, the record heat accompanying the drought kept boaters away. "Not as many people were coming to the restaurant or the marina, and a lot of people didn't even bother to take their boats out," said Grand Prairie resident Douglas Wells. Hart said lake businesses throughout the Dallas/Fort Worth area suffered, and sales dropped drastically. "I could not imagine -- I'd say 40, 50 percent," he said. "There were some marinas that just completely shut down because they couldn't get to the boats." Both the restaurant and the marina are family-owned and operated. Employees there hope this summer will give them an opportunity to make up for last year's loss.